Th-Th-That's All, Folks! 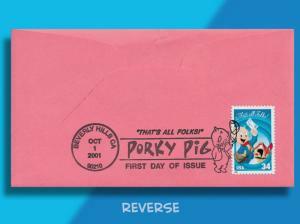 Handcolored Porky on FDC for Final Looney Tunes stamp! 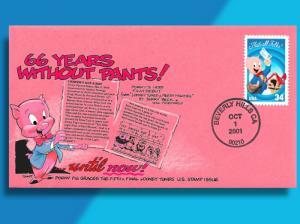 In over 66 years of silver screen and TV appearances, Looney Tunes star Porky Pig was comfortable with not wearing pants. And no one seemed to particularly mind. 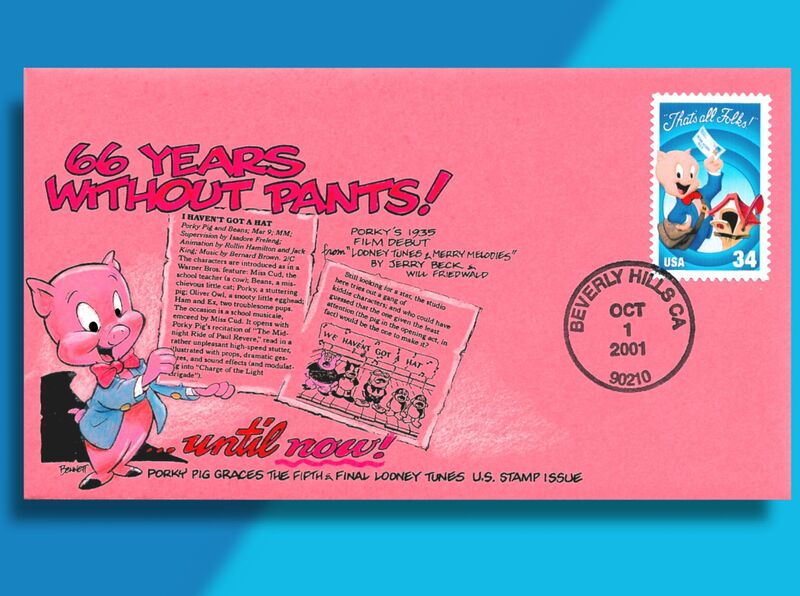 But when it came time to design the fifth and final Looney Tunes stamp, the USPS apparently decided Porky needed to cover up and appear respectable. They made him wear pants . . . but he's smiling despite the restrictions imposed. The front of the cover has a bull's eye First Day of Issue cancel from Beverly Hills, where the stamp was issued in a ceremony at the television museum. 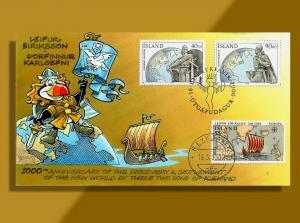 On the reverse is another stamp, cancelled with the full pictorial FDoI cancel. 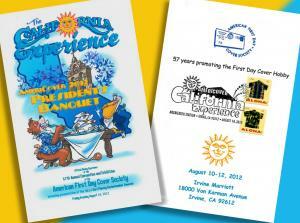 b-bid smartly and this cover could b- b- be yours!! 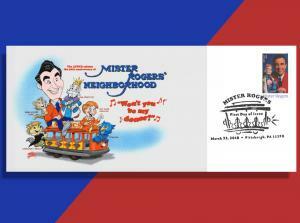 We can only honor purchases that will be sent to USA addresses . . . but all shipping and handling is absolutely FREE! 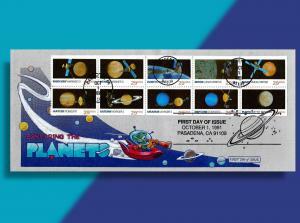 Little Outer Space Guy is "Exploring the Planets" on Handcolored 1991 FDC!